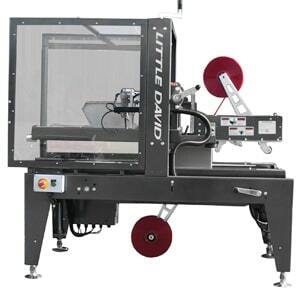 The Little David LD-24 is an industrial grade high performance case sealer. 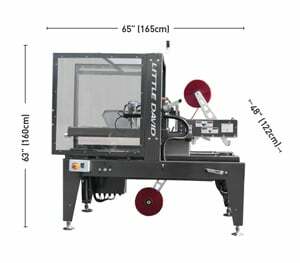 It’s designed to meet the case sealing demands of customers with high volume runs of same-sized boxes. Its compact design is perfect for customers looking to take up less real estate between conveyors. For more information, please call 904.302.5899. Length 8″ min. 24″ max. Width 6″ min. 18″ max. Height 4.5″ min 18″ max.